A fun spot for late night dining. The restaurant's is very spacious with plenty of seating and standing room. There are nice booths along the wall and the stage area is impressive with plenty of standing room so you can see the live music at its best! 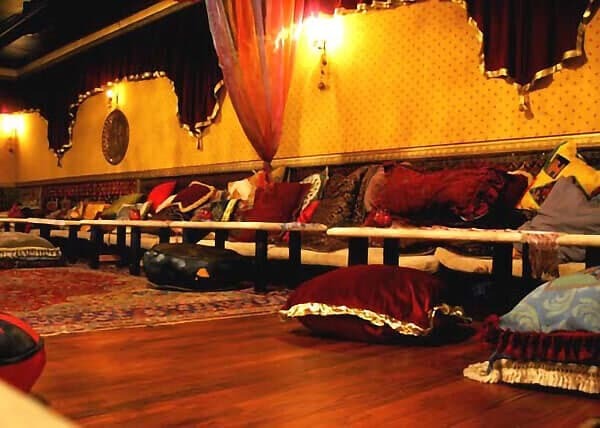 When first approached, it is a small quaint restaurant--but when inside, one is revealed a magical harem where you are the Prince or Princess of the evening! . . . Cascading majestic grapes, create a mystical getaway for you and your loved ones. . . I am convinced that no matter what you order, you will be dazzled by the rich flavors and aesthetic display! Any night of the week, but the weekends are the best! A Hidden Paradise! Recommended for all!